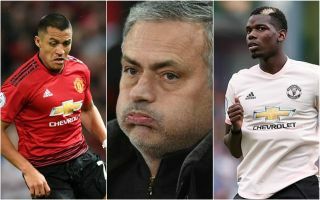 Manchester United face a tough opponent this weekend in newly-promoted Wolves, who have brought in a number of exciting signings thanks to the influence of super-agent Jorge Mendes. Jose Mourinho, meanwhile, is without four key players for this clash and will have to think on his feet a little but with one or two risky selections in his XI. While some of that is down to injuries and suspensions, we’re also suggesting some big calls here based on some performances we saw in the convincing Champions League win at Young Boys in midweek. Same old names back here probably, with David de Gea in goal and the in-form Luke Shaw at left-back. As reported by the Metro, Marcos Rojo is one of the players missing through injury so we expect Chris Smalling and Victor Lindelof to take up the two centre-back positions. At right-back, some fans may be disappointed to see it’s probably going to be Antonio Valencia starting there again despite Diogo Dalot’s impressive debut in midweek. As reported by the Manchester Evening News, Mourinho has already explained that he won’t be using the youngster again in the Premier League after only just giving him his first start after some injury troubles this season. Nemanja Matic is suspended, so we’d like to see Fred get that Michael Carrick role in front of the defence. Ahead of him, it would also be nice to see Marouane Fellaini not start this one and for Mourinho to go with something to match the crafty play of Wolves’ midfield. Andreas Pereira had a fine pre-season but has fallen down the pecking order since then, but this might be a good game for him. Alongside the Brazilian duo of course, should be Paul Pogba, who was immense against Young Boys. Now for the big call – Alexis Sanchez was benched in midweek and should arguably be so again this weekend. Anthony Martial shone in the Chilean’s absence after being handed a rare start in the game in Switzerland, scoring the team’s third and looking lively throughout. Sanchez simply isn’t providing that kind of end-product for United and needs a break to get himself together. Marcus Rashford is suspended, meanwhile, so Jesse Lingard should join Martial and Romelu Lukaku in an exciting-looking front three.